Edwardsiella loveni was known previously from original and subsequent descriptions based on several lots of specimens dredged from depths of 90 to 640 m in waters around Sweden and Norway and only now we recorded it in N Pacific in British Columbia. 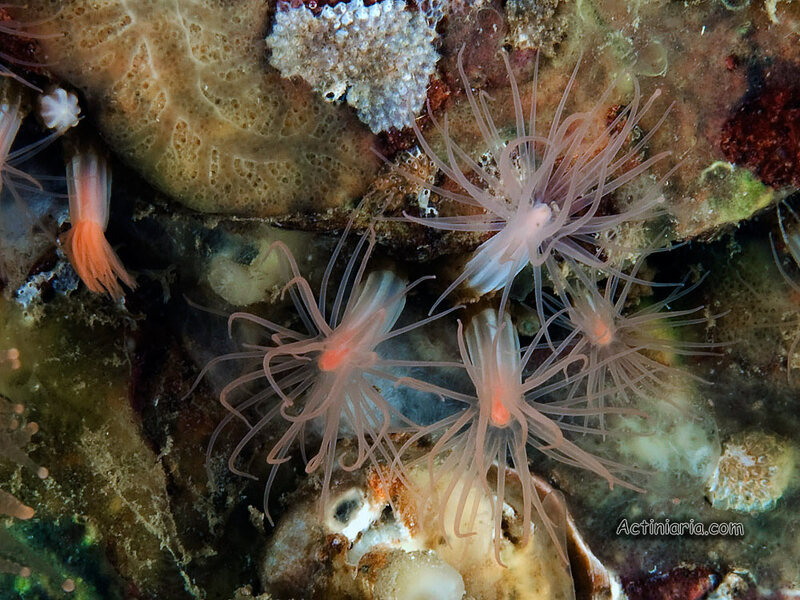 Unlike many members of Edwardsiidae the specimens do not live buried in sediment but are anchored in crevices of solid objects such as dead calyces of Lophelia, dead Paragorgia or other octocorals. 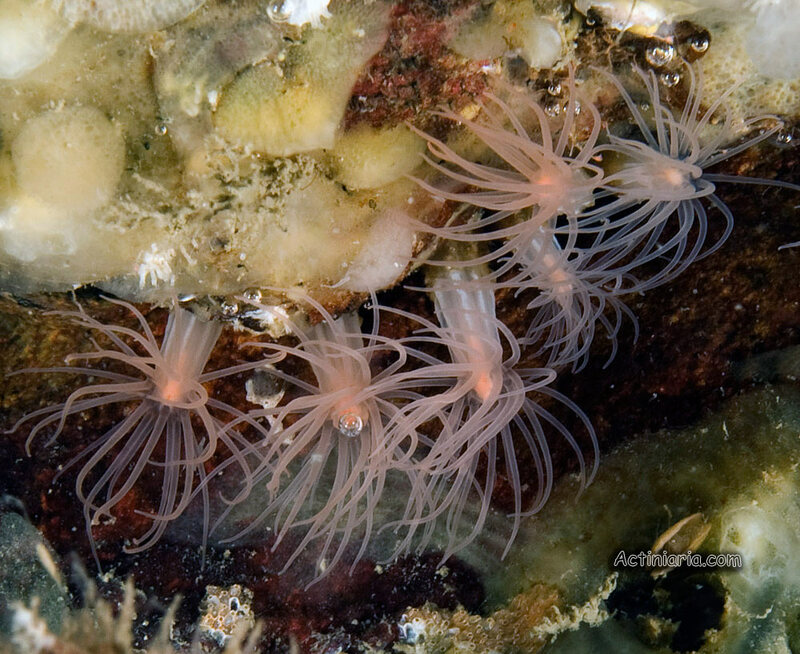 The specimens from British Columbia (on photos) live in crevices in bedrock. Most probably Edwardsiella loveni, and other Edwardsiella species, have much wider distribution than might be inferred from existing records, but the specimens inhabiting crevices in bedrock cannot be caught by trawls or dredges.